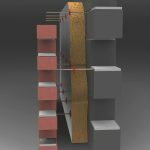 Padstones are an essential component in modern blockwork and brickwork construction projects, protecting the wall beneath from the crushing weight transferred through load-bearing elements above. With increasingly imaginative architectural designs creating new demands for the size, shape and configuration of installation for lintels and RSJ beams, you need to ensure that you can get the appropriate padstone to support your design. That’s where we come in… with bespoke concrete padstones! We’ve been designing and manufacturing bespoke concrete padstones at Killeshal for a long time. In addition to our off-the-shelf standard concrete padstones this ability to make exactly the padstones you need means you can be sure that when the time comes to install load-bearing elements, you know you will have the appropriate support in place to avoid potentially disastrous and costly structural damage. Just to be clear, we go way beyond just sales and manufacturing here at Killeshal. The guys in our Technical Sales Team very much live up to the “Technical” part of that moniker, with a wealth of engineering knowledge and expertise. 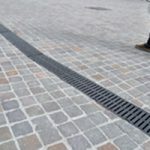 So, when we say Killeshal can help and advise you in the design and specification of a Bespoke Concrete Padstones, specifically for your project, that is more than a bold sales pitch. Give us the details of your requirements and we’ll work with you to produce exactly what you need. 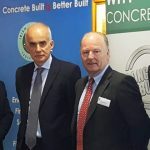 Contact our Killeshal technical sales team to see how Bespoke Concrete Padstones from Killeshal can provide better concrete structural support and help you get it right for your project. Click here for our Padstones page.